Sulfuric Acid – NORAM Engineering and Constructors Ltd.
NORAM provides innovative process technology, engineering and equipment to metallurgical, sulfur-burning and acid regeneration acid plants. NORAM’s equipment and systems, reduce environmental emissions, increase energy efficiency , increase capacity and improve plant reliability of plants of all scales around the world. NORAM Engineering specializes in all aspects of sulfuric acid manufacture and abatement of SO2 containing gases from industrial sources. 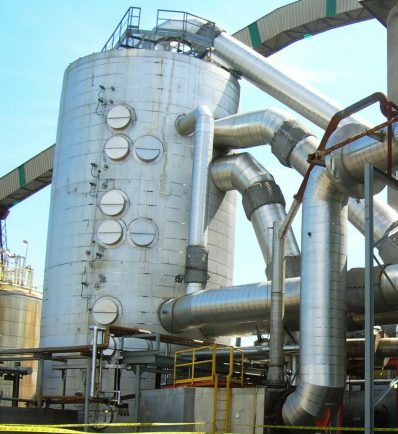 Technologies pioneered by NORAM have enabled sulfuric acid producers around the globe to extend the life of existing facilities, improve operating economics, and cost-effectively meet more stringent environmental emission standards. Our capabilities encompass plant design, systems design, optimization and debottlenecking studies, supply of equipment, and design and engineering of integrated acid plants. We design and supply all major equipment required in a sulfuric acid plant. Projects often start with engineering studies using proprietary process flowsheeting programs to simulate complete plants, specify new equipment or identify plant bottlenecks. Further work develops detailed designs and mechanical drawings for systems and equipment to meet stringent process specifications and reliability requirements. NORAM has sulfuric acid specialists in our offices in Vancouver, Canada and also in Gothenburg, Sweden. Modernization of 19 world-scale sulfuric acid plants. The supply of over 200 major pieces of sulfuric acid plant vessels/equipment. Over 300 engineering studies for acid plants in different industries. 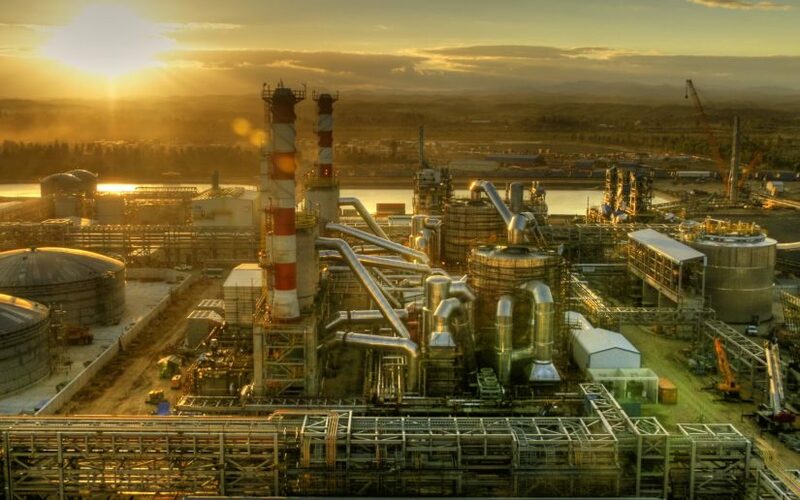 Two large 2,750 MTPD acid plants delivered to the Ambatovy Nickel Project in Madagascar became the first greenfield acid plants wholly designed by NORAM to incorporate NORAM’s proprietary process and equipment platforms. 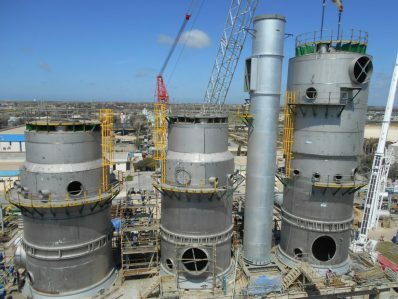 A greenfield 300 MTPD sulfur dioxide plant was delivered to the Boleo Project in Mexico, providing high pressure SO2 gas to leaching operations. Our Cellchem™ sulfur burners have over 180 installation references. Our client base includes plants in the fertilizer, the metallurgical, hydrocarbon, and pulp and paper industries. NORAM has clients in North America, South America, Europe, the Middle East, Africa and Asia. In-house fabrication of sulfuric acid plant equipment in conventional and specialty alloys in our Axton-Ellett fabrication Shop, Vancouver, Canada. Inventory of NORAM SX™ alloy materials in Sweden and Canada. Technology development in our BC Research Inc. pilot facilities, Vancouver, Canada. Alliance with Sedgman Limited to support the sulfuric acid industry in Australia and further afield. Alliance with Turboscrubber™ (Osprey/FTL) for fluidized-bed scrubbers. Alliance with CPPE Carbon Process & Plant Engineering S.A. for carbon-bed scrubbing. NORAM’s technology is largely used for production of sulfuric acid, and oleum in sulfur-burning, metallurgical and acid regeneration facilities. The plants are also used for abatement of sulfur-containing gases at industrial scale, such as in metallurgical plants (abatement of metallurgical SO2) and pulp and paper plants (abatement of NCGs). NORAM’s technology is used for production of SO2 gas at any industrial scale. Applications are found in industries such as pulp and paper, mining (cyanide detoxification, leaching), pulp and paper (feed to chlorine dioxide generators, sulfite and bisulfite solutions, SO2-water solutions for pulp souring), water treatment (waste water de-chlorination, bromine removal), food (de-colourization, corn wet milling), and chemicals (sulfuric acid production, in-house production of SO2, production of liquefied SO2). Clients often approach NORAM to explore how to reduce the stack SO2 emissions on a continuous basis. NORAM’s system may include a 3 to 5 bed catalytic converter, equipment for improved gas temperature management, and SO2 conversion catalysts. NORAM offers proprietary technology to greatly reduce the plant start-up emissions. This technology is especially suitable for adjacent acid plants, allowing for faster start-ups and ultra-low gas emissions during the plant preheat and start-up. NORAM offers complete preheating systems to increase the temperature of process gas and equipment during start-up and process upsets. Such systems include a hydrocarbon combustion furnace and a preheat gas exchanger to achieve faster start-ups and higher reliability. NORAM studies existing facilities to identify practical methods to achieve capacity increase. NORAM specializes in complex retrofits due to a wide experience in plant upgrades. These capacity increase projects may require replacing or upgrading equipment and internals in a single stage or multiple stages of project execution. Equipment in sulfuric acid is replaced by state-of-the art NORAM equipment utilizing improved mechanical designs and more robust materials of construction. NORAM’s staff can deliver training to operators and engineers, and provide site advisory services for inspection, construction, commissioning and start-up of equipment and systems. Converter with internal heat exchanger: Can accommodate the hot gas exchanger integrally to simplify ducting and plant layout. Converter with internal welded posts: 100% of the available cross sectional area is available; multiple dished plates for improved reliability. Converter with single dish plate: For vessels up to medium-size, catalyst requirements can be accommodated without internal posts. RF™ (Radial Flow) exchangers: The radial geometry achieves uniformly distributed gas flow perpendicular to the exchanger tube banks, and optimized use of all heat transfer surfaces. These exchangers can be used in any position in the sulfuric acid plant. RF™-SF™ preheat exchangers: The Split Flow is used for a ‘cold sweep’ which decreases the tube wall temperature at the hot end. This increases the overall fuel efficiency and may be used to design a smaller, less expensive preheat furnace and heat exchanger solution. RF™-SF™ cold or cold interpass exchanger: The Split Flow is used for a ‘hot sweep’ which increases the tube wall temperature by up to 68°F (38°C). The SF™ exchanger operates well above the acid dew point, and significantly reduces sulfate fouling and corrosion. RF™-SF™ SO3 cooler: The Split Flow is used for a hot sweep’ which raises the tube wall temperature. This design can eliminate condensation / solidification of SO3, reduce the rate of sulfate fouling, and results in a compact heat exchanger. Brick-lined towers: Brick lining has traditionally been used in acid towers, as it withstands the widest possible range of acid concentrations should upset conditions occur. We offer state-of-the-art bricking, with innovative stable dished bottoms, self-supporting dome packing support, and internal or external dilution. Alloy towers: Fabricated in high-silicon stainless steel (NORAM SXTM, UNS 23615). The use if this alloy allows for lighter equipment and faster installation, often critical in plant retrofits. Vertical-type and bullet-type configurations are offered for service in strong acid circuits. Brick-lined or NORAM SX™ materials of construction are available. Tanks can be operated with or without internal dilution. Our proprietary HP™ packing is made through a slip-casting process which produces saddles of uniform shape within a narrow range of size tolerances. The high-performance design achieves high absorption capacity and low pressure drop. Breakage during shipping and installation has typically been less than 0.1 percent. NORAM HP™ packing is often used to debottleneck acid towers and achieve higher plant capacities due to pressure drop savings. SMART™ acid distributors: Allows for easy installation, and cleaning from external ports without entering the tower. Uniform acid distribution throughout tower cross section area, low spray generation rate is also achieved. Trough acid distributors: A robust design with all-metal construction. Anodically protected acid coolers: Use large diameter cathodes, which minimize the voltage drop along the cathode and give more uniform passivation. NORAM SX™ alloy acid coolers: Often preferred for simpler installation and virtually maintenance-free operation. SX™ coolers can deal with higher temperatures and can be used for boiler-feed water preheating. CF (Cyclone-flame): For very small scale (0.5 to 16 MTPD sulfur burned). SF (Spiral-flame): For medium scale (5 to 400 MTPD sulfur burned). Pressure atomization sulfur furnaces: For larger plants producing 100 MTPD to 3,000+ MTPD of H2SO4 equivalent capacity. Preheat furnaces: For plant preheating applications. Spent acid regeneration furnaces: For decomposition of spent sulfuric acid. Feed from a variety of sulfur-containing streams are viable, including H2S, spent acid, sulfur as well as hydrocarbons. A family of butterfly-type valves, triple offset triple offset, Class V valves, designed for use in both control and tight shut-off applications, available in a variety of sizes and configurations. Cyclonic capture: Applicable downstream of acid towers to reduce acid carryover and to protect equipment, using cyclonic principles. Demister vessels: Filter vessels and knock-out vessels fitted with conventional meshpads, impaction candles or Brownian diffusion candles. NORAM provides systems for internal acid dilution using weak acid or water. These systems can be located inside towers and pumptanks, or be configured externally. Manufactured from NORAM SX™ alloy. The strainers can be located inside acid towers, at pump suction, or be configured externally with internal removable basket. We inventory a comprehensive selection of metal plate, flanges and piping for hot sulfuric acid service. Training for welding of NORAM SX™ material is also offered. Our experience with thermal expansion and thermal cycling allows robust gas ducting and systems to be designed. We incorporate finite element analysis (FEA) and special expansion joint designs suitable for high temperature gas service into our designs. Two green-field 2,750 MTPD sulfuric Acid Plants, designed and engineered by NORAM, and delivered to the Ambatovy Nickel Project In Madagascar. 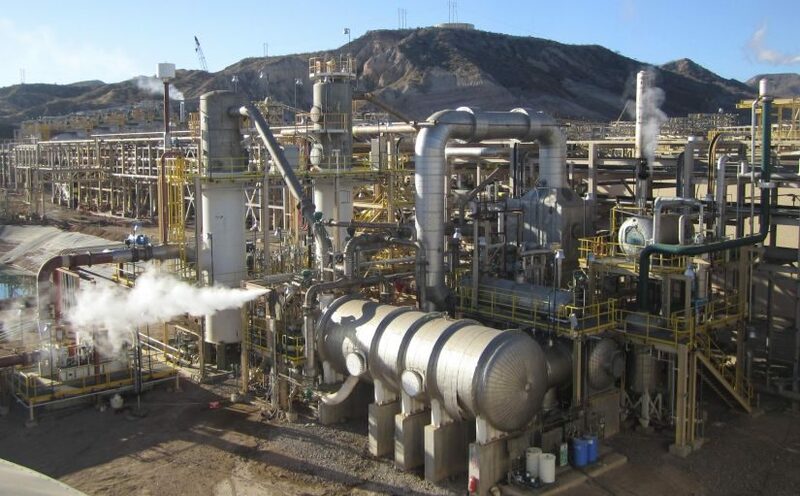 The 300 MTPD SO2 Plant at the copper plant in Santa Rosalia, Mexico, provides high-pressure SO2 gas to leaching processes. NORAM’s Plant Preheating System used in a metallurgical plant of 2800 MTPD capacity allowing for fast start-up and simultaneous preheating of 4 catalyst beds. NORAM’s Absorption System retrofitted to a metallurgical plant of up to 2,000 MTPD capacity allows for ultra low emissions of SO3 and H2SO4 to the environment. 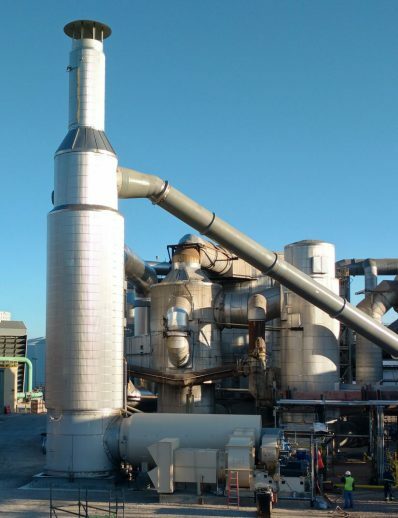 Absorption System in a 2,650 MTPD sulfur-burning plant, uses dry, interpass and final towers in NORAM SX™ material. 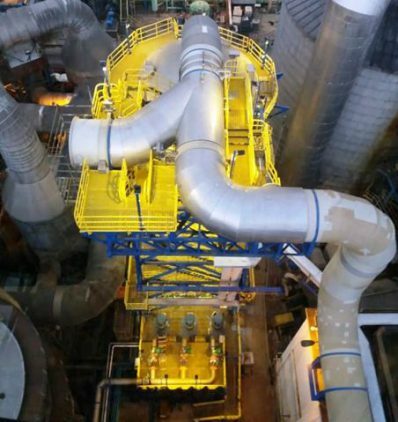 NORAM’s SO2 Conversion System installed in a 850 MTPD sulfur-burning acid plant reduces emissions of SO2 to the environment and boosts capacity. A wide-range of specialty equipment and internals is supplied to the sulfuric acid aftermarket – from the industry-leading high-performance HP™ saddle packing for reduced pressure drop in towers, to the large heat exchangers, towers, and converters manufactured in our custom fabrication shops. NORAM’s modular sulfur burners are typically supplied in the size-range 0.5 to 400 MTPD, in applications as diverse as minerals processing and pulp and paper plants.